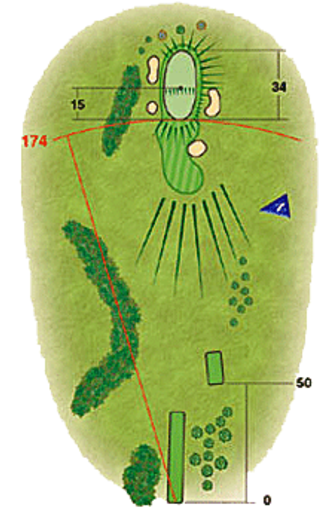 Played straight back up the hill, this challenging par 3 requires extra club to hit the green. Any shot missing this difficult two tier green will leave a tough up and down. 3 is a good score here.